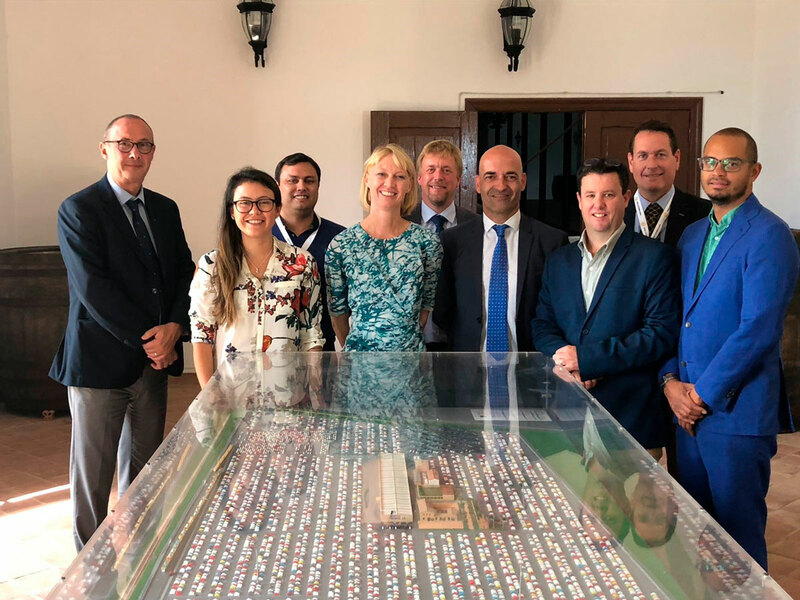 Executives of stevedoring companies from different parts of the world, belonging to the General Stevedoring Council (GSC), visited the ports of Barcelona and Tarragona this week to participate in a training course in high management focused on the logistics of port operations. BERGÉ, as partner and representative of the GSC in Spain, has captained this project and the visits to these delegations, in order to create joint lines of work and develop new ones in the future. Ignacio Gomá (Director of Bergé Marítima Barcelona) and David Parra (Director of the Delegation of Tarragona) have served as hosts in both ports, accompanying the participants and showing them the facilities along with some of the most common operations carried out in their delegations . GSC aims to promote the participation and training of the next generation of company leaders, through the holding of practical courses that take place in different ports in Europe and in the United States. The project, in which companies from all over the world participate, is recognized internationally and stopped at the ports of Catalonia, thanks to the management and active participation of BERGÉ. The objective is to share information, knowledge and contacts within the port operations and stowage industry worldwide. Therefore, in addition to these training programs, GSC also offers managers the possibility to participate regularly in networking and benchmarking events. On this occasion, the delegation that visited the BERGÉ facilities was made up of executives from Qube Holdings (Australia), Copenhagen Malmó Port (Denmark), KVSA (Holland), Belfast Harbor (Great Britain), Port of Cork (Ireland), Ultraport (Chile) and Ports America (USA), as well as the secretary of the group, Bruno Valkeniers.